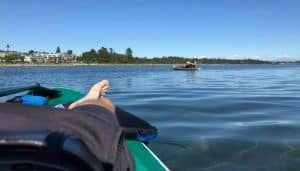 If you quickly want to find out what the best inflatable paddle board for dogs is, I’d recommend the Hala Rado Inflatable Stand-Up Paddle Board. The Best PFD for Paddle Boarding Paddle Boarding is an awesome activity to do with friends and family that allows you to be more active. Tower Adventurer 2 Review Taking a paddle boat and going out into a quiet lake or river fills your mind with a sense of peace.